First of all I’d like to thank Bhavika for nominating me for this award! Please take a minute check out her blog here. 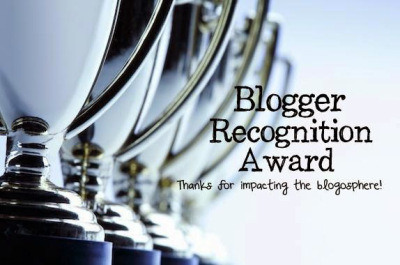 1) Select 15 other blogs you want to give the award to. Do some digging if you must! Find those blogs. You cannot nominate yourself or the person who has nominated you. 2) Write a post to show off your award! Give a brief story of how your blog got started, and give a piece or two of advice to new bloggers. Thank whoever nominated you, and provide a link to their blog. List who you’ve nominated in the post. Make sure to also attach the award itself! (You can do this by right-clicking, saving, and uploading the image above). It’s been nearly 2 months now since I started my blog and I can’t believe the amazing feedback and support I have received from it! I feel so grateful to everyone who takes a moment to read my posts and I honestly just love inspiring others with my posts. I initially started this blog as a more regularly way to post about the things I love, as compared to my Youtube Channel where I would not post as often. As I have been working throughout my summer this year, I have hardly had any time to film and edit videos and thought that starting a blog would be the best way to keep up with the latest trends and talk about my favourite topics. Making this blog has been one of the best decisions I’ve ever made! For advice, if any of you out there are reading this right now and are in two minds whether to start blog or not, I’d say do it! Don’t hesitate and don’t look back, it’s a great decision and once you get into the flow of things it’ll become a lot easier! Believe in yourself! As I’m pretty new at this myself, I’ll leave the professional advice to the experts. Right now I’m still learning and there’s such an amazing and wide platform out there in the blogging world that is yet for me to discover! I can’t wait!